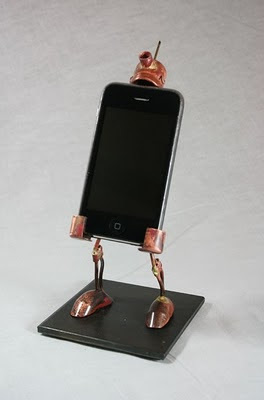 Very cool iPhone holder. Masculine and whimsical at the same time. And very unique. This will make a really great conversation piece.